Passengers with their noses buried in their mobile phones, not talking to each other, is a common sight on subways around the world. But it often means that people don't always realize that someone in need is standing nearby. Tokyo’s famously packed metro has found a way of taking advantage of this and make communting easier for mothers to be. 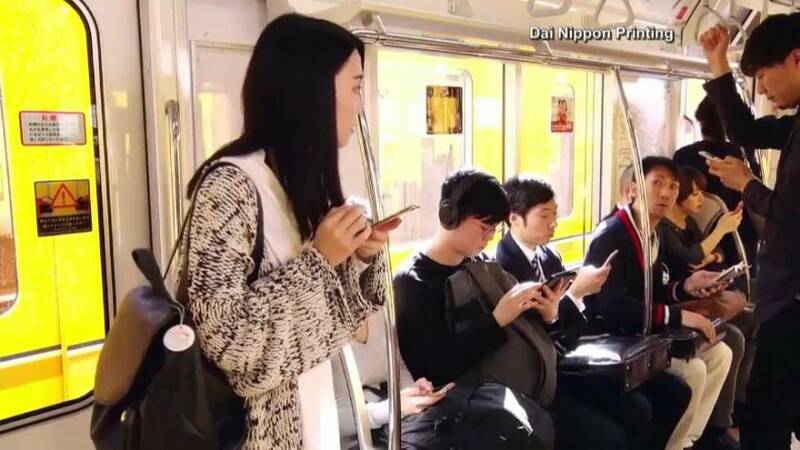 A match making app is being trialed on the subway's Ginza line to connect women with nearby passengers willing to give up their coverted seat. A promotional video shows how the app works. A pregnant women, struggling to bag a seat, links with willing riders via a special account on the messaging app "line." They send a note saying they want to sit down. A generous pre-registered users then receives an alert on their phones telling them the pregnant woman's location. The exchange can be made without giving personal information to each other. The service comes at a time when Japan faces low birthrates and is trying to make life easier for mothers. Printing and IT firm Dai Nippon also hope to roll out the app to help elderly and disabled people.